Supporters in the fight to bring legal medical marijuana to Maryland received some uplifting news a few days ago from the governor’s office. While O’Malley did not actually come out and personally support legal use of the drug, he did give the go ahead for his health secretary to back the bill. During a hearing in Annapolis last Friday, secretary Sharfstein told lawmakers that the governor’s administration would now support medical marijuana legislation. The governor’s office did not address pending legislation for decriminalization and legalization of recreational marijuana use, but the health secretary’s statements did signal a reversal from the administration’s position on medical use this time last year. In 2012 the medical use bills were defeated in the General Assembly due to concerns about state employees facing possible federal prosecution for developing and implementing a plan to dispense a drug that was, and is still is illegal under federal law. The actual likelihood of state employees being prosecuted by the feds was slim to none, and still remains a far-fetched scenario. Nonetheless, the governor’s office used this as an excuse to make sure the bill died, while at the same time assuring that medical use activists would be only the slightest bit offended. In essence this clever political play bought the governor an additional year to weigh the effects of serving as the executive of a state with legalized pot against his national political aspirations. After witnessing the groundbreaking popular votes in Colorado and Washington State, along with the continuing trend toward universal support of medical marijuana, it was an easy reversal for the governor. It is important to understand that the recent statements by the health secretary will have no bearing on the house and senate bills decriminalizing and legalizing recreational use of marijuana respectively. The fact that the governor’s office did not even mention these bills when discussing medical marijuana could signal that 2013 will not be the year where Maryland to legalizes pot. Any legislation that will cross the governor’s desk with a signature is sure to be highly complex and not go into effect immediately. In fact, the current bill that is being discussed would hardly be as simple as establishing a system to walk into a local pharmacy to pick up a gram or two. The bill would allow academic medical centers to operate compassionate use programs for medical marijuana beginning in 2016. The centers, which are hospitals with residency programs, would be responsible for monitoring usage, detailing necessary funding, and would publish results the treatments have on its patients. The health secretary stated in Annapolis that an academic approach would be a more cautious way to ease into state sanctioned marijuana use. This “yellow light” approach would assess the benefits and the risks of the drug before any further steps toward legalization ensue. It certainly sounds like this bill will pass and eventually in 2016 pot will be available at your local hospital. On the other hand, it sounds like all other marijuana bills will enjoy the same fate as last year. 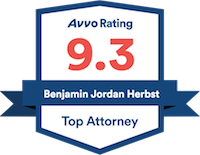 Benjamin Herbst is a drug crimes lawyer serving all jurisdictions in Maryland. Contact Mr. Herbst today for a free consultation about your case. 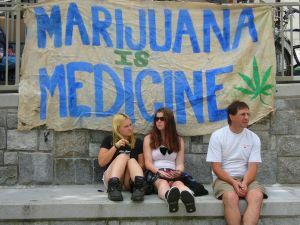 Maryland governor suggests he will support medical marijuana bill, washingtonpost.com.